Before making a bowl of delicious Scottish porridge, let us explore this healthy meal. There are many varieties of oats on the market that can satisfy all tastes. Oats are readily available at most major supermarkets and convenience stores. The different kinds of oats depend on how they were processed. Some varieties include rolled oats, steel cut oats, and lesser-known oat groats. Ideas for seasoning a bowl of oats are infinite. Just add your favorite flavorings to this traditional Scottish Porridge recipe. 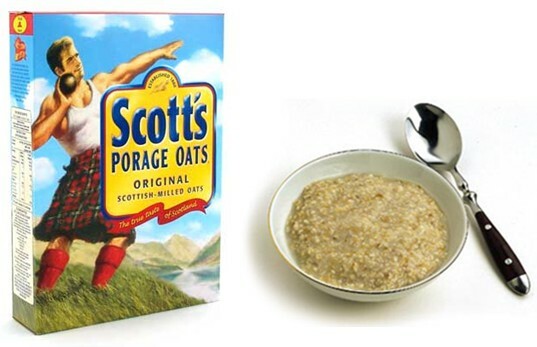 Be sure to pick the best quality Scotch porridge oats. There are several oat brands in the market but nothing is better than the original. Instructions: Boil rolled oats in water or milk on a medium setting on the stove stirring constantly until it thickens to your desired preference, then turn off the heat and serve.